This little device is every Instagram photographer’s dream…. For many photographers, new and old, one of the biggest problems they face on a daily basis is generating a steady stream of new relevant content for social media. The problem is a result of a lack of a method for quick and efficient post production in the field. One tech startup in Santa Monica, California has discretely pioneered a new way to share creative stories from the field. The current state of mobile workflows has remained stale and inefficient. Photographers have had to bring their laptops into the field, deal with second rate wireless solutions, cheap and unreliable wireless hard drives or simply wait until they return from a shoot to get photos off the camera and onto the web. Products like the WD My Passport and RAVPower have attempted to build phone apps to help you manage your media, yet neither have found a way to successfully bring seamless file management, editing and sharing to photos. “I’m outdoors a lot and I post images and video of my adventures to social media all the time. But one of the biggest problems I have is if it’s anything more than a snapshot on my iPhone, or a video on my GoPro I can pull over to my phone via WiFi, I have to wait till I get home to edit on my laptop, slowing down the time it takes from getting the shot to sharing it with my followers,” — Casey Berner, photographer and writer from Seattle. Will Africano, Founder of GNARBOX, has created what he and many others think is the post production solution for many struggling photographers trying to learn how to excel on Instagram or Facebook. 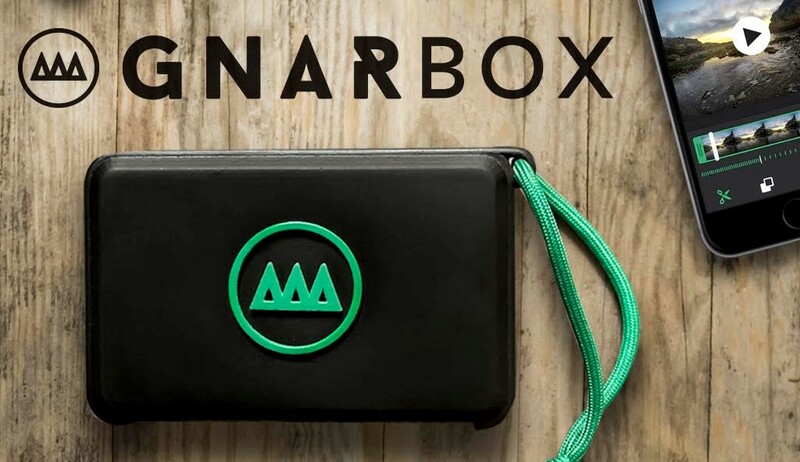 Right now, GNARBOX is logging pre-orders at a discount for a limited time before reaching the mass market.